The villa area in Abu Dhabi, U.A.E. 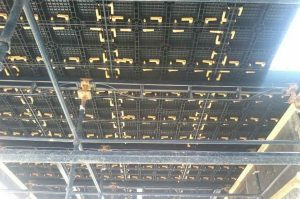 is under constrction now, BOFU plastic formwork system won the good reputation by its many advantages. 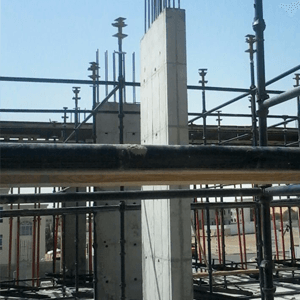 The main elements in this project is column. 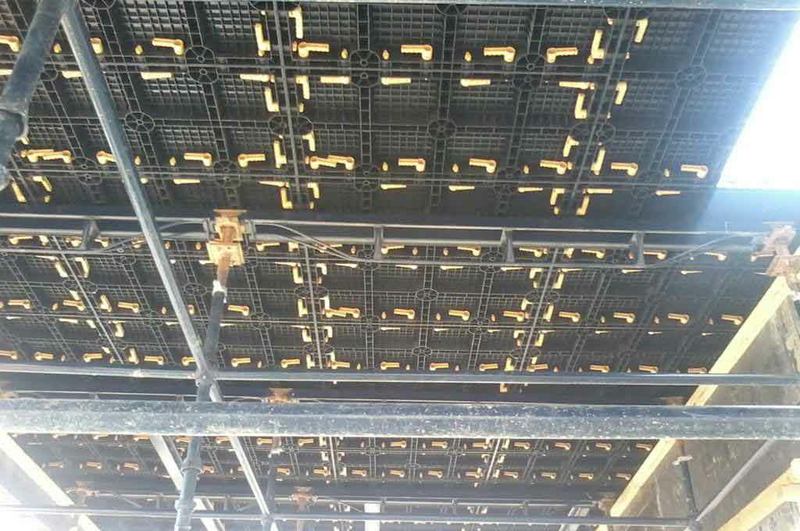 For ordinary column, our client use the adjustable column panels, which can made column size from 15cm to 60cm, for other big size column, they use 4pcs of outer corners and wall panels to do it easily, the pictures show the surface of column finished, which is clean and smooth. Other elements including slab, just use the same wall panel. 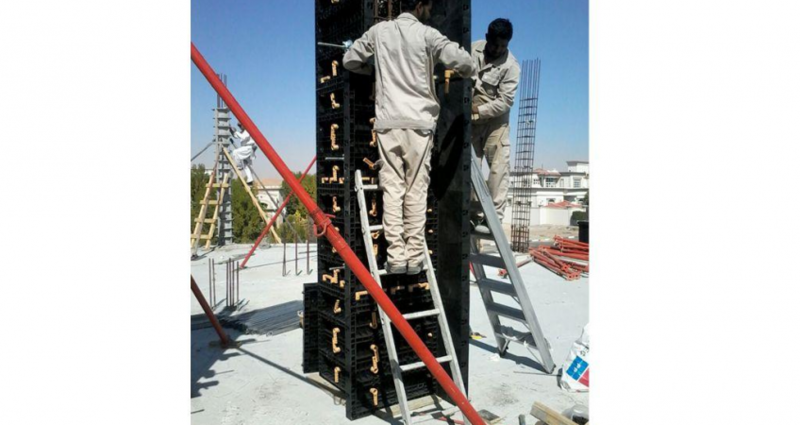 Generally we suggest our clients to use shoring prop and H20 beam as supporting, here our Abu Dhabi client use their own cup-lock scaffolding to support the slab, it also works well.